When building a WordPress site, you’ll spend time planning a multitude of things. You’ll likely invest hours into the exact theme or layout you want, the content you’ll be posting and building out any special widgets like e-commerce, email capture and social media sharing. While all of these things are well planned out from the moment you decide you need a website, what may come as an afterthought is your website’s speed. A website’s speed isn’t just important for the sanity of your end-user, but having a speedy website can actually help with better SEO rankings, higher conversion rates, and a greater likelihood of loyal, satisfied customers. WordPress’s back-end management system provides users with incredibly powerful website tools for both beginners and advanced website creators. Whether you’re first building your website, or looking to enhance an existing one, you’ll want to use these 10 ways to speed up your WordPress website. This is one of the areas where you’ll likely spend a lot of time and energy. Choosing a theme for your website is critical to your brand image and credibility of your website or product. But, when selecting the one that fits best for you, don’t forget to take into account that the more bells and whistles within your theme, the slower your website will be. This doesn’t mean you have to pick a bland theme, rather, do your research to find a lighter-weight theme that is both visually appealing and speed healthy. The optimization of not only your WordPress theme, but also the images you choose to add to it, is absolutely critical to website speed. Images can take up more than half of the weight of your page, so their compression is absolutely vital. The steps you should take are two-fold. Firstly, prior to loading your images in, compress them down as much as possible before the image quality is compromised. 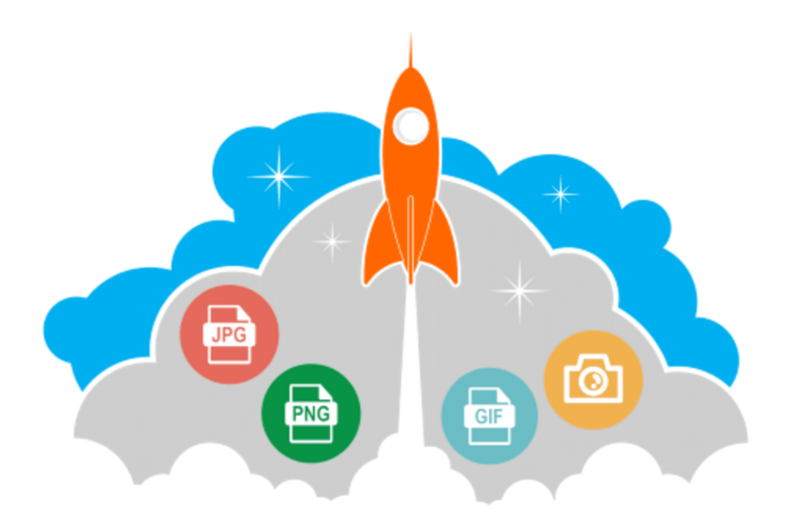 To be even more diligent with your image files, it is a good idea to actually install a plug-in that will additionally auto-compress your images upon upload. 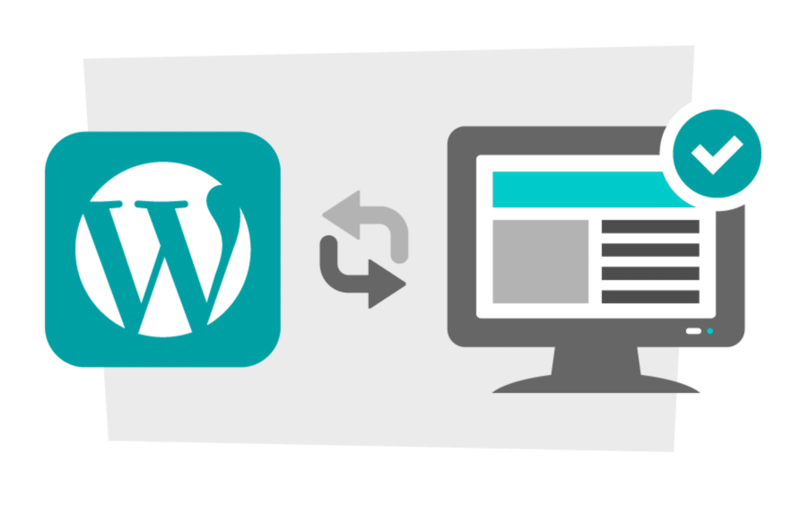 WordPress is a dynamic website, which means each time someone visits your pages, they have to be rebuilt. By installing a caching plug-in like WP Super Cache, your page will be downloaded the first time and copied, so each subsequent refresh for that particular page and visitor (or computer) serves up the copy, drastically shortening the process. Some hosting providers may even take care of this process for you, so be sure to understand what is being provided. Since websites have no global boundaries, implementing a Content Delivery Network (CDN) is an important component of maintaining an efficient speed for your WordPress site. The CDN is a way to replicate your site’s information onto multiple servers, also called Points of Presence (POP), which are located close to your website visitors throughout the world. When the visitor lands on your site, he or she will be served from the closest located POP, minimizing the total loading time. As you write new content for your site, it’s likely that WordPress is holding on to all of those revisions. Especially if your website is content heavy, it will be essential to monitor the number of revisions and even better to limit or disable them altogether with code or a plug-in. Once this has been applied, don’t forget to purge your WordPress of the excess revisions. Due to the popularity of WordPress and its incredible open-source organization, WordPress updates are being made constantly. While many updates may be for newer features as technology develops, there are also updates that are recommended for bug fixes or security vulnerabilities. Though WordPress notifies you when these new versions are available, it is up to you to ensure that you are actually downloading them to be implemented when you are notified. Ensuring your site is up-to-date on the version can greatly assist with not only protecting your site, but maintaining or even improving its speed. Though hosting can be a pretty costly part of your WordPress site, choosing a good web host will greatly affect its speed. Do your research carefully before selecting one company. For example, the offers shared hosting company can provide are pretty attractive, but the traffic volume can certainly hurt the speed of your site, especially during popular times. The consensus for the optimal WordPress Host would be choosing a premium WordPress host as they will improve and optimize all deliverable for your site. No, this doesn’t mean write a never-ending blog post, however, for longer posts, which are certainly good for SEO rankings, enter page breaks to spread the content across more than one page. The simplest way to do this is to insert the tag <!––nextpage––> into your post where you want the content to split off onto the next page. They may have seemed like a great idea at the time, but chances are, you may not actually be using all of the various plug ins you installed when building your site. These unused and unwanted plug ins are just slowing down your WordPress as your backup loads to your server, likely slowing your front end down in the process. So, be sure to implement the following rule for unnecessary plug-ins; if you don’t use them, you’ll definitely want to lose them. 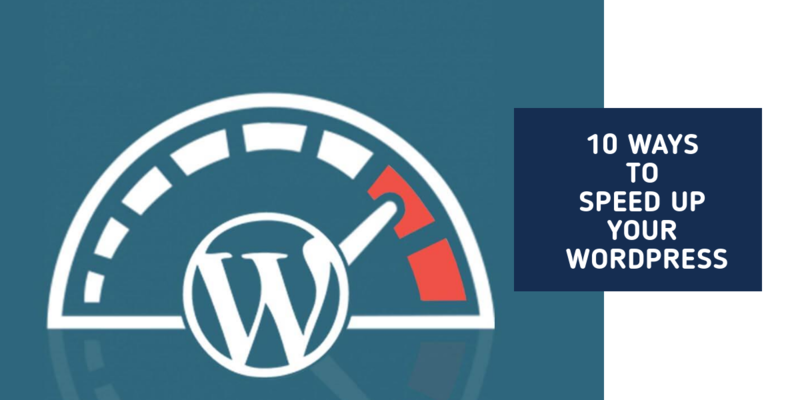 These 10 ways to speed up your WordPress site will be extremely effective in improving your website experience in an increasingly competitive online world. With attention spans decreasing and the importance of technology increasing, having a speedy site is critical to your business. Try a speed test tool on your current site, implement these tactics, and then watch the results improve, making both you and your end user happy.